At a distance of 30 km from Panjim Kadamba Bus stand, 2 km from Sanquelim and 8 km from Bicholim, Arvalem waterfalls is one of the most amazing spots situated in North Goa. Cascading down from a height of 50 m (24 ft), Arvalem is one of the top places to visit in Goa.This waterfall is set amidst charming surroundings, with the Rudreshwar temple in its vicinity. The temple holds importance for the Hindus who believe in releasing the soul on the 12th day after death. The Rock cut caves are just situated nearby. 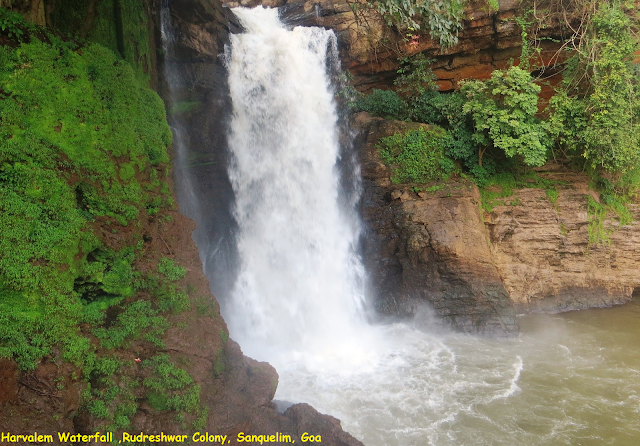 The Arvalem waterfall is one of the most crowded tourist spots in Goa. A number of buses are available from Mapusa and Panaji to Arvalem. KTC bus station at Mapusa is nearest to the Arvalem waterfalls. A taxi or a motorbike can also be hired from Mapusa, Panaji or Margao to reach the waterfall. Timings: 9 AM - 6 PM on all days.